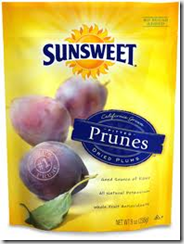 High Value Sunsweet Pitted Prunes at Rite Aid! Rite Aid is having a good deal for Sunsweet Pitted Prunes for $0.95! Free Gas-X Softgels at Rite Aid ,Starting 9/30! Minute Maid Juice Box,10 pk for $1.90 at Target!